Resilient South councils have mapped the heat of their urban areas using thermal infrared imagery to measure the land surface temperature of our urban area on a day that was 39.5 degrees Celsius at Adelaide airport. You will see in the images below that the red areas are the hottest and the blue the coolest. Look at those poor little red squares in the suburban streets. 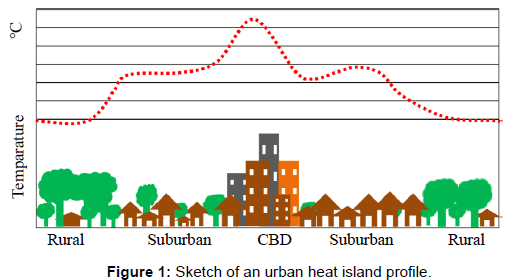 We have learnt from the heat mapping process that water and vegetation have a cooling effect. Coastal areas are also cooler than inland areas. We can't all move to the coast, but we can introduce water and vegetation into our local environments. By identifying hot-spots we can better inform our management decisions relating to tree plantings, urban planning and the health and well-being our community, particularly vulnerable groups. We are now focusing on projects in our parks, streetscapes, natural landscapes and sporting hubs where there are opportunities to implement more green infrastructure. Discover how hot your local area is by visiting the City of Onkaparinga online heating mapping tool. Take the time to discover how hot your local area is by visiting the City of Mitcham online heating mapping tool. Located in the suburb of St Mary’s (City of Mitcham) and bordered by Quinlan Avenue, Norman Street, Auricchio Avenue and Laura Avenue, Norman Reserve is home to the Kenilworth Football Club and features (within its area of approximately 7 hectares) an irrigated grass football oval, club rooms, a small playground and two dolomite carparks. The remaining area consists mostly of dry grass or dolomite surfaces with scattered trees of various sizes. Fly over thermal imagery completed by Resilient South (blue representing cooler and red representing warmer surfaces) highlighted Norman Reserve’s dry grass and dolomite areas as a clear ‘hotspot’ in the context of the reserve’s surrounds. The project has also won a Public Works Engineering Australia Award. A bio filtration basin, with two smaller raingardens vegetated with indigenous sedges, rushes and weeds and grassed open areas incorporating gravel soakage trenches. This area is designed to be a flat grassed area for passive use. The biofiltration basin will help to keep this area greener around the year. Two small raingardens, with soakage trenches to provide water to local trees. The raingardens will capture stormwater from Norman Street, with higher flows directed through a connected swale to the bio filtration basin. A grassed swale from Dorene Street and Auricchio Avenue, connected to gravel filled soakage trenches and grassed depressions to facilitate seepage and overland flow. The Macro WSUD intervention at Norman Reserve also collects stormwater from neighboring roads. The Rain gardens are also linked by grassed swales and shallow pools have been constructed to collect stormwater to water vegetation and tress, improve amenity and filter out pollutants.